It is with sadness that I inform you that Dr. Claude Foster, age 84, returned to the House of the Lord on Friday, September 14, 2012. Dr. Foster courageously fought T-cell Lymphoma for the last two years until his passing last week. Dr. Foster died peacefully, surrounded by his family in a “beautiful passing” according to his son. 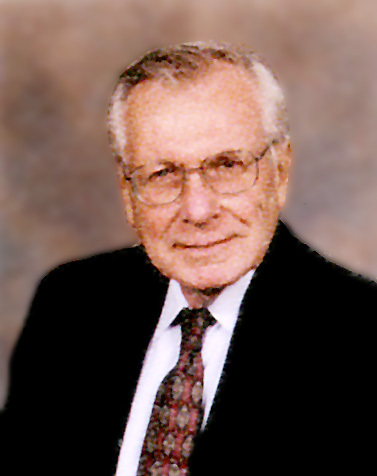 Dr. Foster was a scholar, professor, author, and a man of great accomplishment and of great faith. He was a Fulbright Scholar, studying extensively in the great Universities of Europe; he earned numerous advanced degrees, including a PhD from the University of Pennsylvania, as well as being ordained a Baptist Minister. He taught History at West Chester University for 44 years. Dr. Foster was an acclaimed historian and writer, having authored the “Biography of Paul Schneider,” a protestant minister who died in the concentration camps and “Mary’s Knight” the most complete biography of St. Maximilian Maria Kolbe ever written. His “Mary’s Knight” biography provides an unparalleled history of the life of St. Maximilian and the origins of the Militia of the Immaculata. His work on the life of St. Maximilian, an unequaled detail of the saint’s life, continues to inform and inspire generations. Dr. Foster was a great friend of the MI and to the Conventual Franciscans and was a frequent visitor to Niepokalanow. He wrote articles for the Immaculata magazine and gave speeches on the life of St. Maximilian, Holy Scripture, and historical Christianity throughout the country. Dr. Foster shared his final morning with his family and close friends who read him Psalms and poems. He was preceded in death by his wife, Lois, to whom he was married 60 years. He is survived by his son Stephen and his wife Lori; his daughter Charissa; and five grandchildren – Tyler, Kelsey, Alexander, Dylan, and Luke. A memorial visitation will be held on Thursday, Sept. 20, from 9 to 11 AM, followed by a funeral service at 11 AM at Westminster Presbyterian Church, 10 West Pleasant Grove Road, West Chester, PA 19382. Interment will be held privately. In lieu of flowers, the family asks that donations be made to First Baptist Church of Kennett Square, 415 W. State Street, Kennett Square, PA 19348 or to Neighborhood Hospice, 400 East Marshall Street, West Chester, PA 19380. As he returns to the House of the Father, I am sure Claude Foster will be greeted by Saint Maximilian whose life he so faithfully and reverently chronicled. Please join me in nine days of prayer for the repose of Dr. Claude Foster’s soul.